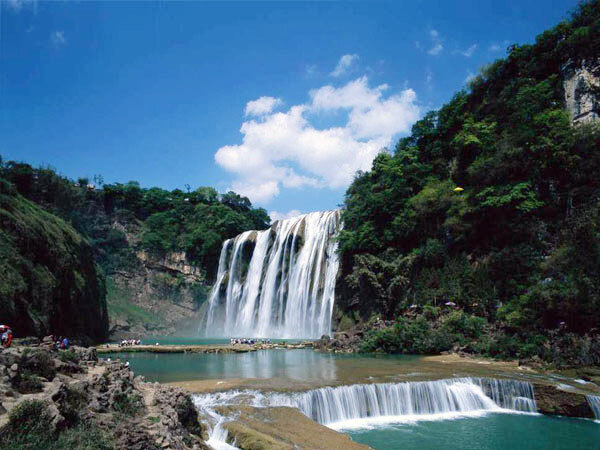 5 Day Tour around the attractions in Beautiful Guizhou! ​Join our team for this 5 Day Guizhou Tour and adventure across a number of attractions in Guizhou Province. 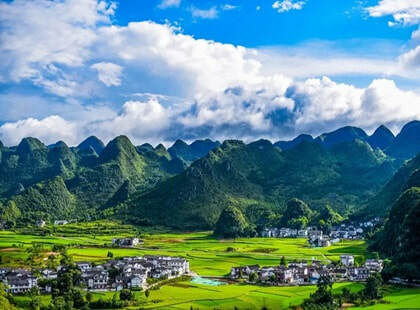 Our Beautiful Guizhou Tour includes incredible natural scenery, an insight into local cultures and magnificent sightseeing, Beautiful Guizhou Tour is the perfect tour for visitors looking to experience the main Guizhou attractions during a tour. 9:00 am: Meet at your Ziyun Hotel Lobby. Please note, if you'd like to find out the latest pricing for our Beautiful Guizhou 5 Day Guizhou Tour, please contact us directly. Please note, for a selection of recommended Beautiful Guizhou Hotels for you to book, please contact us directly! In the morning, your tour guide and driver will meet you at your Guiyang Hotel Lobby to commence the tour. The first destination is the Getu River National Park, which is a famous park known around the world for it's incredible natural natural scenery. 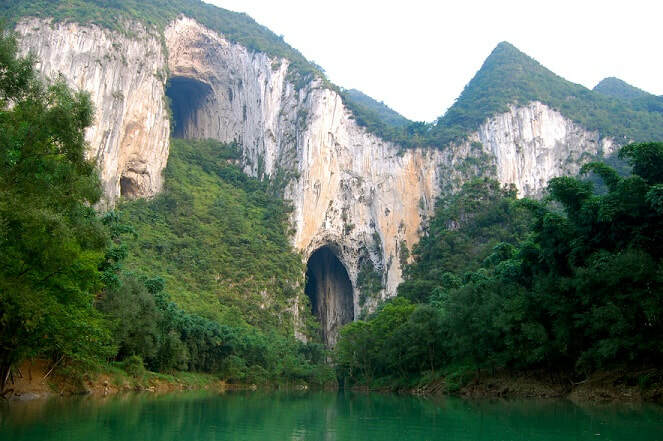 From Guiyang to Getu River National Park it takes approximately 3.5 x hours. During the visit to the Getu River National Park, you'll explore the spectacular scenery along the river, board a boat to travel downstream and watch a local villager aka spiderman scale the rocks without any harness! With decades of rock climbing experience, he climbs up to 100 meters high, providing a spectacular demonstration. In addition, you'll view caves and other scenic spots during the afternoon park tour. Following the visit to the Getu River National Park, you'll be transferred back to Ziyun (which is approximately 1 x hour away) to check-in to your hotel. After dinner (which isn't included in the tour but your guide can assist you with ordering and food choices) you will enjoy the evening at leisure in your hotel. During today, you'll return to the Getu River National Park and partake in a 2-hour hike to the Zhongdong Miao Ethnic Minority Village. 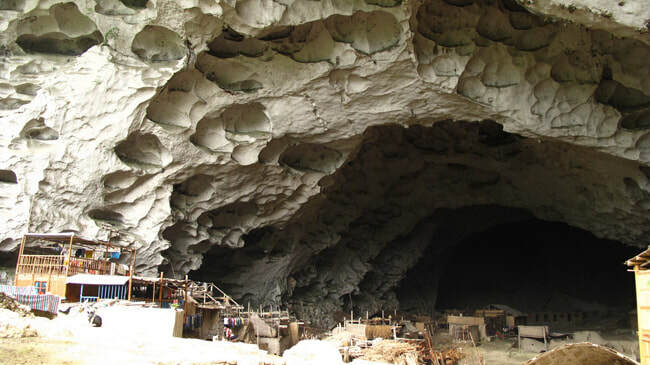 It's located deep within the park at an elevation of 1,800 meters and the entire village is located inside a cave! This Miao ethnic minority village is the last cave-dwelling tribe within Cave and is home to 18 households. Whilst the government in recent years built a new village at the base of the hill, many villagers still choose to live within the cave. ​After exploring the Zhongdong Miao Ethnic Minority Village you'll depart Getu River National Park and be transferred to Xingyi. Xingyi is located on the border of Yunnan Province in South-Western Guizhou and it takes approximately 3 x hours. Upon arriving into Xingyi, check in to your Xingyi Hotel and enjoy the evening at leisure. 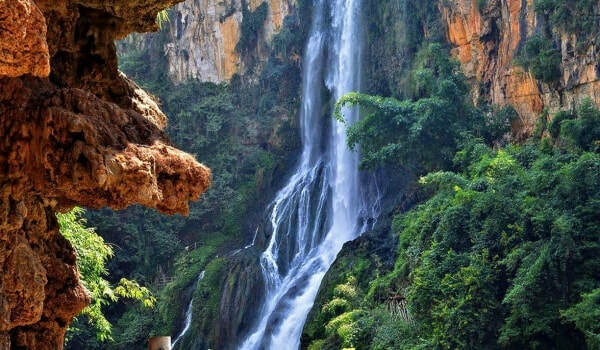 After meeting your guide and driver, we will depart from Xingyi and transfer to Huangguoshu Waterfall - China's largest waterfall and one of the most magnificent in the entire world! 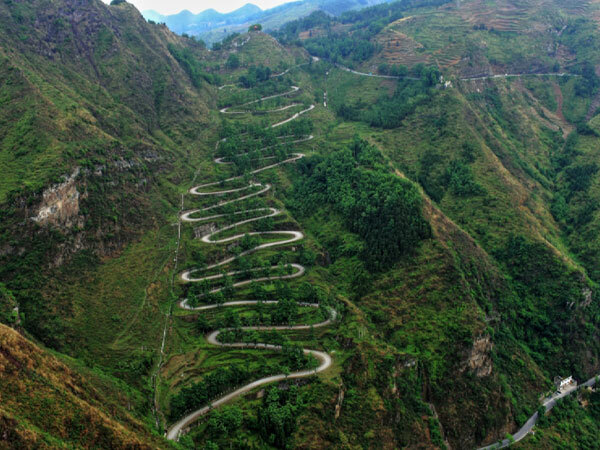 Along the way, we'll stopover at the 24-bend/zig-zag road which is located in Qinglong (between Xingyi and Huangguoshu) to overlook the road. This road was an extremely vital pass used during World War 2, connecting the Old Burma Road with Chongqing City (back then, Chongqing was the second capital city). Upon arriving into Huangguoshu, the first attraction is the Tianxing Scenic Area - a scenic spot with various stone formations in different shapes surrounded by a beautiful forest. The Tianxing Scenic Area is only a short distance away from Huangguoshu, offering a nice spot to visit before the waterfall visit. 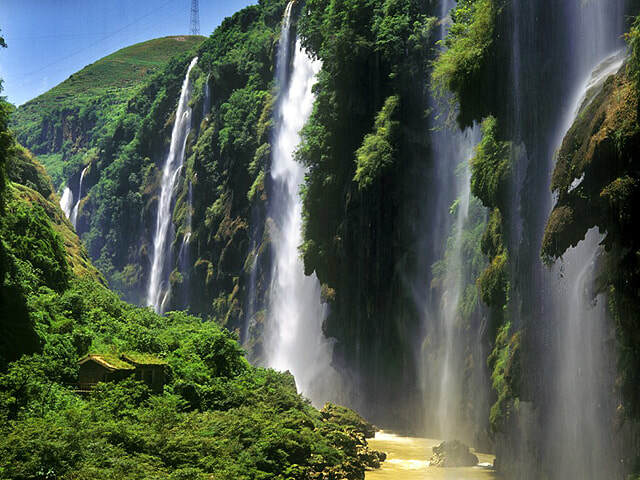 ​Throughout this park, there are different falls and you'll enjoy the afternoon exploring them before being transferred to your Huangguoshu Hotel to enjoy the evening at leisure. Today's tour activities will commence with a departure from Huangguoshu to the Tianlong Tunbao - a traditional village built during the Ming Dynasty. 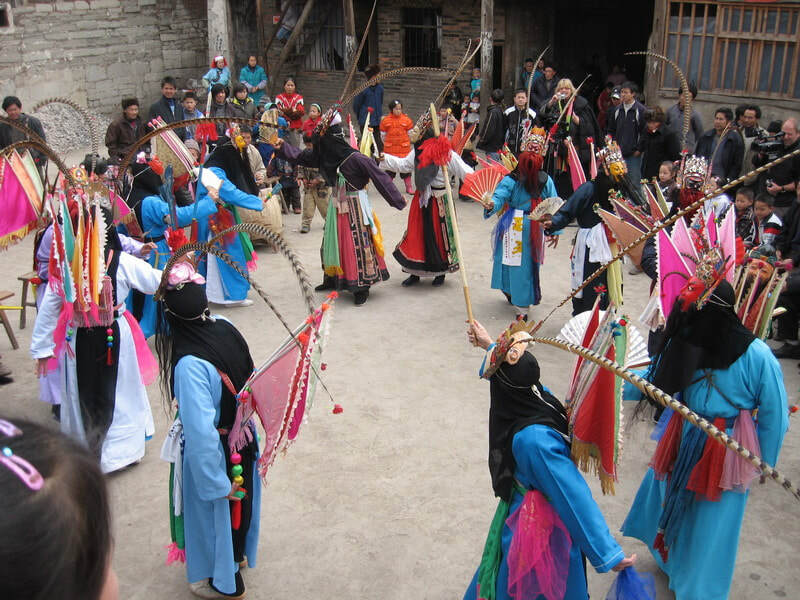 The village name is directly translated as the Tianlong Old Han Village and is located between Huangguoshu and Guiyang. It's a fantastic place to 'go back in time' where villagers dress according to the style of this era, speak in a different language and maintain these unique customs from this period of time. You'll explore the village with its stone houses, watch a Di Opera (performed without a stage) and discover a totally different experience from the previous ethnic minority villages visited earlier in the tour. Following lunch, you'll be transferred back to your Guiyang Hotel or Guiyang Airport/Guiyang Railway Station to conclude the tour. END OF TOUR.